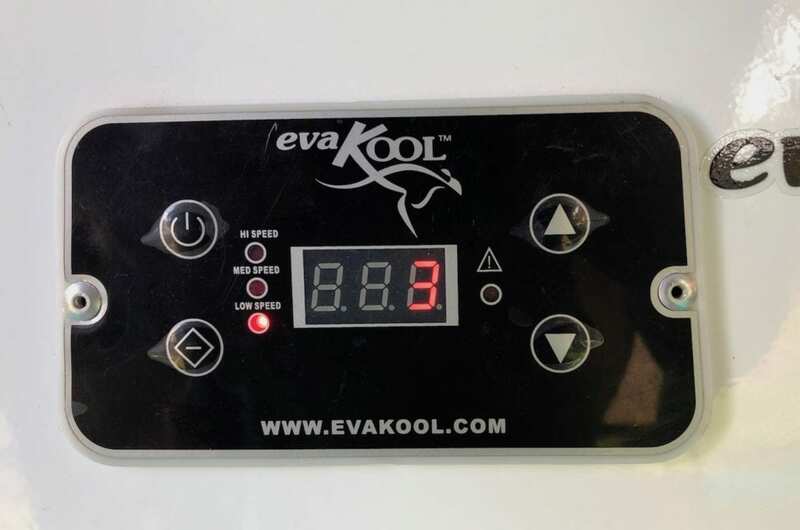 After 18 months of use, how is our EvaKool ED85 fridge/freezer performing? Does it do the job? What could be improved? Most importantly, would we buy another one? How Did We End Up With An EvaKool? How Much Have We Used It? How Does It Handle The Heat? Low Speed Or High Speed? How Useful Is The Freezer? Has It Lasted Well Or Is It Worn Out? Let’s go through these one by one. But first, some background. 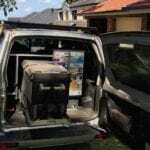 When we ordered our Wedgetail Camper, we specified a Waeco 85 litre fridge/freezer. However during the build, Waeco discontinued this model. They replaced it with a 95 litre model, which simply didn’t fit. Our choice? EvaKool or Engel. As you’ve no doubt guessed, we chose the EvaKool. 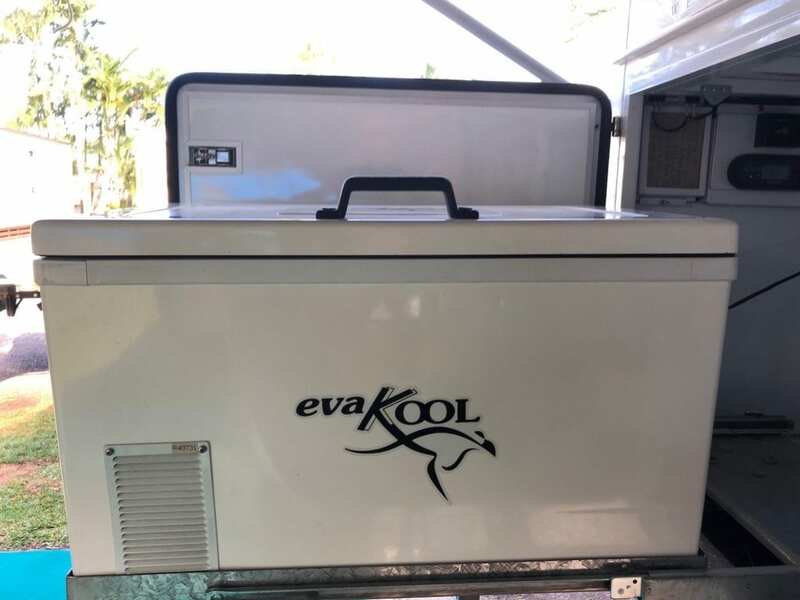 The EvaKool ED85 as installed in our Wedgetail Camper. It’s been customised slightly as a special build for the Wedgie. The first 15 months was what I’d describe as “typical” usage. Weekend trips, a few week long trips and one longer trip. The last 3 months are different though. We’re now on the road full time, living in our truck-based camper. So the Evakool was switched on 3 months ago and has been running continuously ever since. Ambient temperatures have varied from just a few degrees C to almost 40 degrees C.
It’s been shaken over some pretty badly corrugated roads, jolted over washouts and bumps. 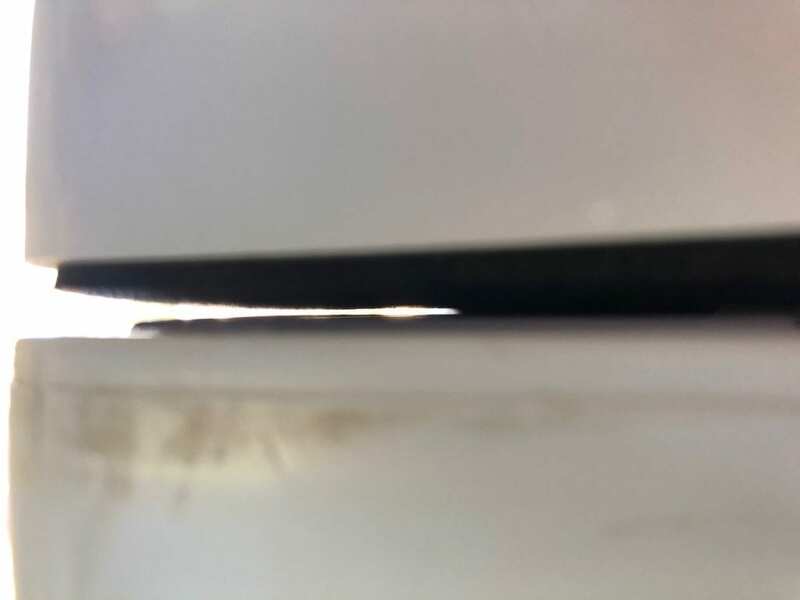 Our poor fridge has even copped a few dustings when a vehicle has unexpectedly appeared during a roadside stop, smothering us in dust. We’ve had no problems with the fridge maintaining set temperature, even on really hot days. It does have a weird temperature readout though. Say you set the temperature at 3°C. The readout hits 6°C before the compressor kicks in, then stops at 1°C. Digital readout is simple to use. The thing is, there’s no way the internals ever reach 6°C. The food is always cold. And the best indicator is milk. It never goes off or feels warm. “My fridge/freezer has a digital display which keeps showing a couple of degrees either side of what I set it to, why is the temperature changing so much? And they’re correct. It doesn’t vary that much. Once you’re satisfied the fridge is working properly, you get used to it. I guess the reason it bugged me was because our Waeco fridge never did this. It consistently maintained temperature to 1°C either side of the set temperature. The EvaKool ED85’s compressor speed can be set at High (3,500rpm), Medium (3,000rpm) and Low (2,000rpm). Obviously, at the highest setting the fridge cools more quickly, and uses more power. We did a quick test. Conditions weren’t ideal, as the day was fairly cool. It was about 25°C and 70% RH. The fridge was ¾ full. We used the remote battery monitor on our REDARC BMS to monitor current draw. Between cycles, the fridge takes 20 minutes before reaching 6°C. What can we learn from this basic experiment? At mild ambient temperatures, there’s really not much difference between Low and High speeds. Current draw is low at 5 amps. Let’s do a few calculations and relate this back to current draw from the battery. This is measured in Amp-hours (Ah). For example, if an appliance continuously draws 10Ah, then after 1 hour a 100Ah battery will have (100 – 10 =) 90Ah remaining. So Ah is a useful measure of how your battery will last. As expected, on Low Speed the cooling time is longer. Therefore run-time per hour is longer. So power usage ends up pretty much the same. This makes sense. If you’re trying to cool something to a given temperature, it takes the same amount of energy to achieve this over a given time period. Therefore we just leave ours on High Speed. This fridge doesn’t use much power. 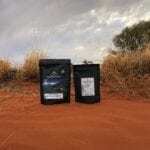 If you had say a 100Ah AGM battery and allow it to drain to 50%, you’ll get about (50% x 100/1.8 =) 28 hours. This tallies with what we’ve experienced. That’s a good result for an 85 litre fridge. Also from experience, you’ll get about half this time when running the EvaKool as a fridge/freezer. 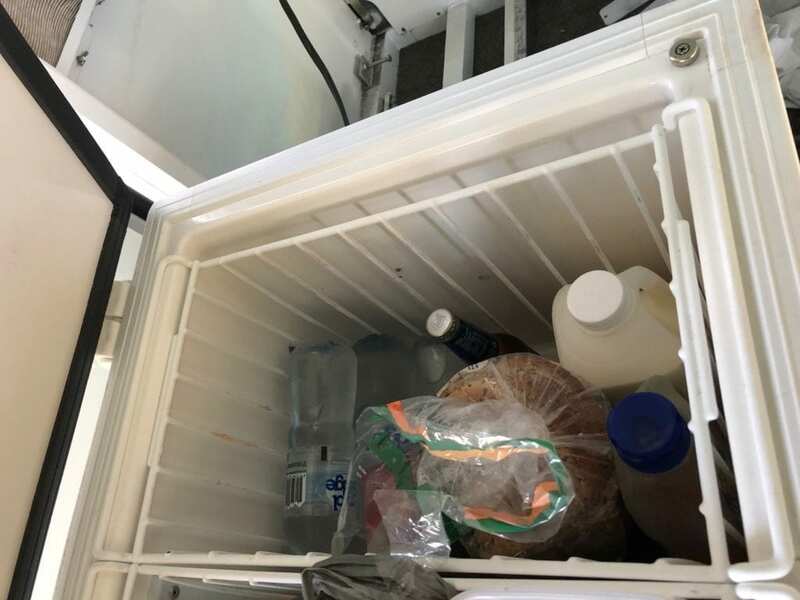 When we started living full-time on the road, we decided to make use of the fridge/freezer. You simply install the divider, place the lid on top of the middle compartment then set the temperature to -16°C. This kept everything in the fridge cold, and definitely kept the freezer frozen. Freezer divider is easily removable. Ignore the black marks. It was stored away and I forgot to give it a wipe down before taking a photo! And this arrangement worked well. 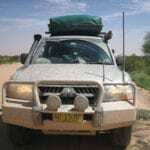 However when we were bush camping at Goulburn River National Park for a few days, daytime temperatures were over 40°C and nights were in the mid 20s. We were chewing through the power and were only just keeping up with demand. So we had a re-think. Did we really need a freezer? Not really. With just two of us, we could easily manage without a freezer. Any meat we get is vacuum-packed, so it lasts for ages. And we didn’t really have enough food to freeze. We had filled the bottom half of the freezer section with water bottles, just to get some mass in there. So we were wasting fridge space by using the freezer. 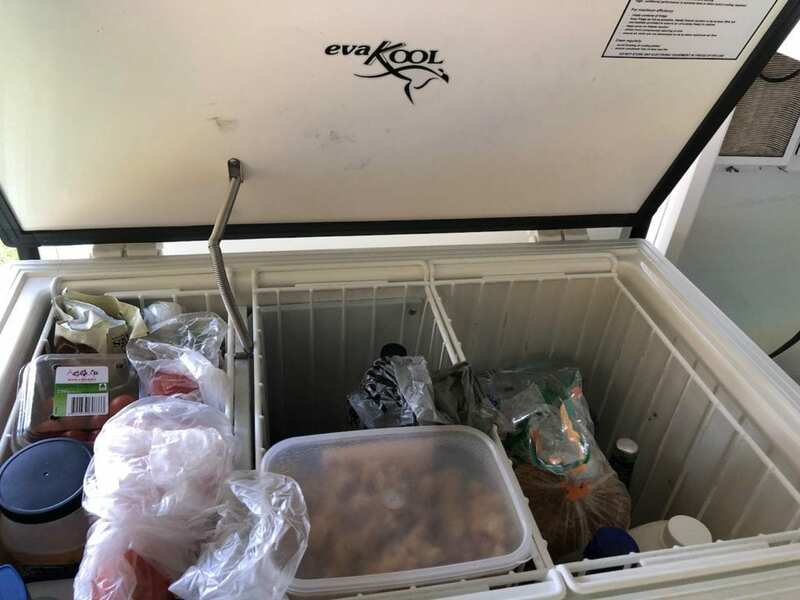 The best solution for us was to just use the EvaKool as a fridge. Dairy left, freezer centre, fridge right. Does this unit work effectively as a fridge/freezer? Yes, without a doubt. We were surprised how well both sides stayed at their respective temperatures. No freezing of the fridge section and no thawing in the freezer section. One small issue to be aware of. The diary and freezer share a common wall, which gets really cold. Be mindful of what you place against this wall. Carrots really don’t like to be frozen on one side! So far we’ve identified two issues and one idea for improvement. Before I go on, I should say I believe our fridge was modified to fit into the Wedgetail Camper. So it’s not entirely a standard unit. 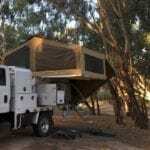 Therefore the two issues we have are a direct result of the EvaKool ED85 being customised to fit a Wedgetail Camper. I’ve included them here becuase they are actual issues that we have with this unit. The first one is the lid strut, the thing that holds the lid open. The lid isn’t able to open past vertical in the Wedgetail, so it needs a support stay. The solution was a compression spring. When the lid is open, the spring is straight so it acts like a solid tube and keeps the lid open. What a clever idea. Or maybe not. There’s two problems with this. With the lid open, you’re relying on the spring to be a straight solid tube. And it is – until you accidentally touch it, the spring collapses sideways and the lid crashes down on your head. Ouch! Secondly the spring has to bend out and towards you as the lid closes. If it decides to bend inwards and you don’t notice, then you’ve just destroyed your lid strut. Have a look at ours below. Our custom lid support spring is looking a little worse for wear. So what seems like a really clever idea is actually pretty useless. There’s plenty of effective ways to hold a fridge lid open. A compression spring isn’t one of them. Moving on. The second issue is again to do with the lid. The sealing is pretty ordinary. Most models have elastic over-centre latches. Ours? Two tiny magnets in each front corner. And that’s it. Small magnet in top corner is supposed to keep the lid closed. Again, I suspect the “missing” lid latches might be unique to models for Wedgetail Campers. Perhaps Wedgetail thought latches would be too hard to get to when in the position shown below. I know the latest EvaKool fridge/freezers fitted in Wedgetails are supplied with latches, so perhaps common sense has prevailed. I’m pretty sure this is why our unit doesn’t have latches. When stored in the position where it’s accessible from the inside of our Wedgetail, undoing the latches would be quite difficult. Without latches there are gaps between the lid and the base, mainly at the front. While it doesn’t seem to affect the unit’s ability to cool, I would expect better. Without latches, we have a gap in one corner of the lid. It looks worse than it is and doesn’t really seem to be much of an issue. My third tiny gripe is the lack of internal lighting in our EvaKool. Most times this isn’t an issue. But sometimes it can be a pain. It’s way too early to tell. This fridge seems to be solidly built and sturdy, and so far it’s doing the job without any dramas. We’ll give it a few years of constant use, then I’ll report back to you! 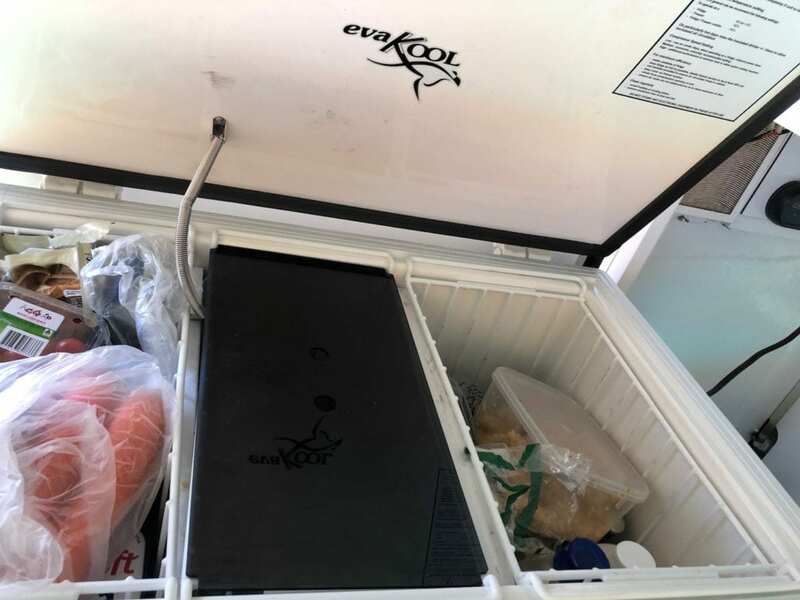 We have a few tips, not just for an EvaKool fridge but for any portable fridge. 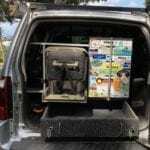 Go here for ideas on how to avoid problems with your car fridge. At this stage, I’d say yes. So far the EvaKool ED85 has not let us down. Like any good fridge, it purrs away in the background quietly doing its job. The ability to quickly convert this into a fridge/freezer is a bonus. 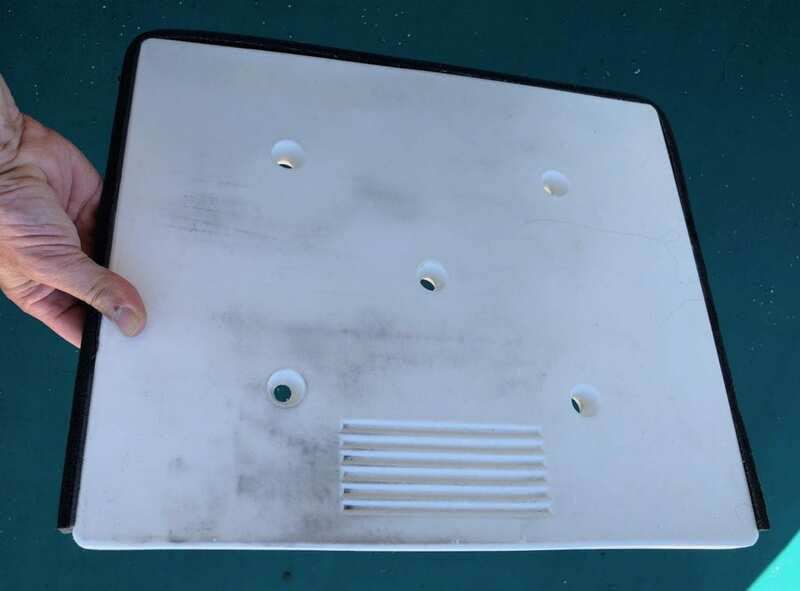 And the body and lid are made from sturdy-looking one-piece fibreglass, with solid hinges on the lid. So there’s no reason why it shouldn’t last the distance. We’ll update this review as time progresses, and let you know if any problems emerge. 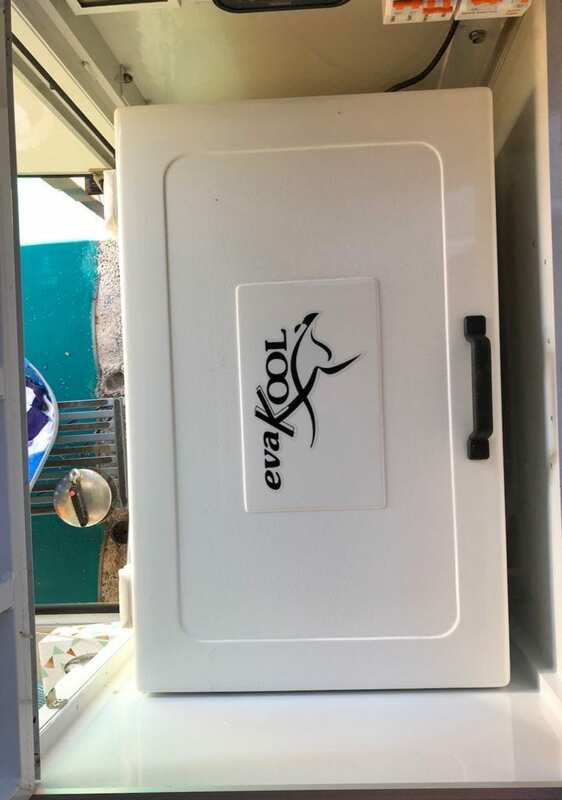 If you’re looking to buy a large fridge/freezer, the EvaKool ED85 is certainly a good option. Part 1. Let's Build A Race Car - What To Do When Your Ol’ Faithful Dies?